Websites can be viewed on many different devices, but the technology behind getting the site to your screen can vary tremendously. Many sites require Windows web hosting in order to function correctly, as this provides access to different coding languages, technologies, and extensions. RSHosting confidently promises the best Windows web hosting experience due to the quality of the hardware used in our servers. All our Windows hosting servers run on high performance SSD drives with up to date software, delivering content from the initial request to the server and back to the screen in records times. With servers in both the UK and USA, you can choose where to deploy your website, and will benefit from being able to deliver the site to local users quickly. UK Windows web hosting has often lagged behind US based hosting, but RSHosting has changed all that. Do I need Windows Web Hosting for my website? Our cost-effective Windows hosting plans include support for Classic ASP, ASP.NET 2.x, 3.x & 4.x, Microsoft SQL Server 2016, Access Database, MVC 4 or 5, .NET Core 2.0, Silverlight 4 or 5, FTP / SFTP, IIS 10, MySQL 5.6, and PHP 5.6, 7.0 or 7.1. If your development environment relies heavily on Microsoft technologies, this is the hosting package for you – and if you need anything extra, just ask. We can support most requirements within this environment, and ensure that we keep on top of the most recent technologies. We offer free SSL certificates, and a user-friendly one-click installer for numerous web applications. 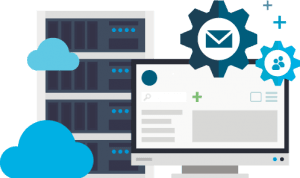 Our hosting is backed by 24/7 customer support from certified Microsoft Professionals, available via email, Skype or online chat. If you encounter a problem at any point, we’ll do our best to resolve it as quickly and painlessly as possible. Our servers boast a 99.9% uptime and come with built-in DDOS protection, making sure that your website is fully online for the maximum amount of time possible. For added speed and reliability, all our hosting options are compatible with the Cloudflare CDN, allowing a network of servers to deliver your content all over the world. Whatever the size of your project or business, we can host it all, and can accommodate your needs as you grow. There is no “one-size-fits-all” solution for hosting, but we can certainly provide a hosting platform that grows with you. 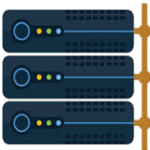 If you are a web developer or designer looking for high speed Windows web hosting in the UK, RSHosting can meet all your needs at an affordable price. Cheap Windows Web Hosting for Asp.Net websites, hobby or information websites or any website with low visitors. Best Windows Web Hosting for SME or Business websites such as with medium number of visitors per month. Affordable Windows Web Hosting services for medium size business websites expecting high visitors. Cheap Windows Web Hosting for Asp, Asp.net websites, hobby or information websites or any website with low visitors. Best Windows Web Hosting for SME or Startup Business websites such as with medium number of visitors per month. 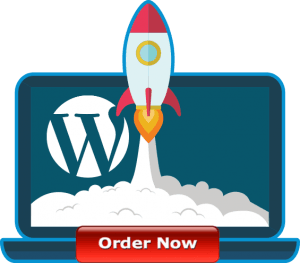 Why choose RShosting for your website?